Natural light floods into CHI St. Luke's Springwoods Village, which is located in the Houston suburb of Spring, Texas. PHOTO © Attic Fire Photography. 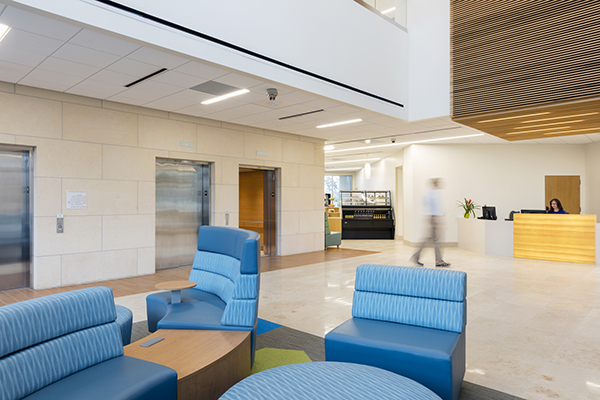 Warm wood tones, Texas limestone and high-end touches keep CHI St. Luke's Springwoods Village from feeling institutional. PHOTO © Attic Fire Photography. 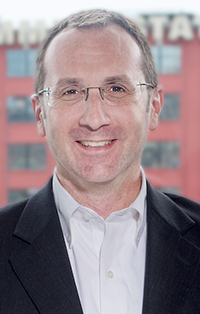 Kevin Harney, AIA, NCARB, has worked in healthcare design for two decades. While much of the architect's attention has been spent on large-scale projects, a newer trend has him thinking small. Harney, a principal with Nashville-based ESa who provides project planning and design management for healthcare projects nationwide, said the concept of the micro-hospital is gaining traction. "In theory, it's been around the last five to 10 years, but we're seeing it come up more and more." Part of the larger trend of right-sizing facilities, a micro-hospital typically falls between an outpatient clinic and acute care hospital in terms of space and capabilities. Harney said micro-hospitals generally encompass 15,000 to 20,000 square feet. Those that offer more services, however, might be as large as 40,000 to 50,000 square feet. Rather than adding more beds to a large, tertiary facility, Harney said the trend is to put the beds out in the community closer to patients. "They are accessible. They are convenient," he said of the appeal, adding most patients would only expect to be at the micro-hospital for 24 to 48 hours. Similar in geographic concept to building freestanding EDs in high growth markets, Harney said micro-hospitals are typically woven into the urban fabric. "It's also a branding opportunity. If it's tied to a larger organization or larger system, they are carrying that brand into the community," Harney noted. 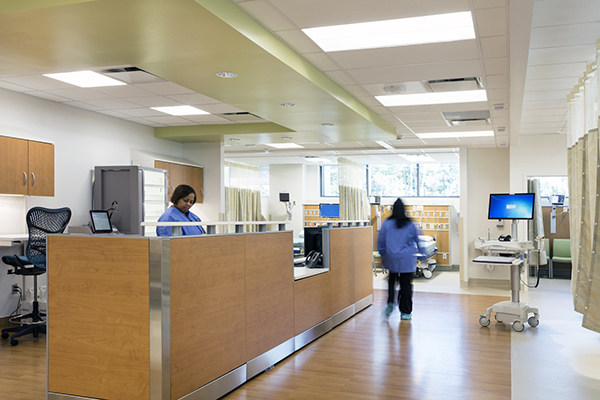 A couple of years ago, Harney worked on a micro-hospital project in Spring, Texas where a larger health system wanted to grow their presence in a suburban area. What started as an outpatient center wound up with several inpatient beds. "We actually designed it so that the little micro-hospital could be expanded into a larger 200- to 300-bed hospital in the future," Harney explained. He added, however, that plan was a bit of an anomaly. While micro-hospitals are usually intended to stay small, he pointed out flexible design does offer the opportunity to expand the facility to match population growth. Generally, Harney said a micro-hospital would include full-blown emergency services, four to 10 inpatient beds, some diagnostic services, pharmacy, and other limited support services. "The ones in the 40,000- to 50,000-square-foot range may have a little more robust diagnostic/imaging component to them," he noted. "They may even offer some outpatient surgery services." Harney said the trend is much stronger in states without a certificate of need program like Texas but added the facilities are still designed to meet the licensed hospital requirements in that state. In addition to meeting patients where they live, there are other considerations that make these small hospitals appealing. Harney said micro-hospitals could be built faster and at lower cost than going onto an existing campus and having to expand vertically or buy adjacent property. "The real estate around an existing campus may be cost prohibitive," he noted. Instead, micro-hospitals are usually built on 'greenfield' sites ... meaning the health system buys an empty parcel of land for the project. "I would say from an aesthetic standpoint, they are more upscale," Harney continued of micro-hospitals. "They tend to have a retail feel to them. They want you to feel like you aren't walking into a sterile environment." He added the small size lends itself to design elements that usually aren't found at their higher acuity counterparts. "These little micro-hospitals allow you to introduce more natural lighting into spaces where you typically wouldn't see natural light in a larger hospital. Because they are smaller, you can introduce natural light into an ED exam room. By doing these little things, you enhance the experience." He said another goal is to introduce finishes that might be different from a larger facility. "We like to use materials that are durable and easy to maintain ... and obviously meet codes ... but are also inviting and have some warmth to them," Harney explained. Ideally, micro-hospitals fill a service gap and offer another option to deliver care at the appropriate time and in the proper setting. While Harney is seeing a growing interest among clients, he said the staying power of the trend would largely depend on the direction of healthcare moving forward.